We love how colors change from year to year. It keeps everything exciting from your wardrobe to your crafts. But it can be hard to keep up with the trends. And harder still to figure out how to combine the new colors with the old. So we discovered a trick to making crafts in today’s palettes. Scrapbooking paper! 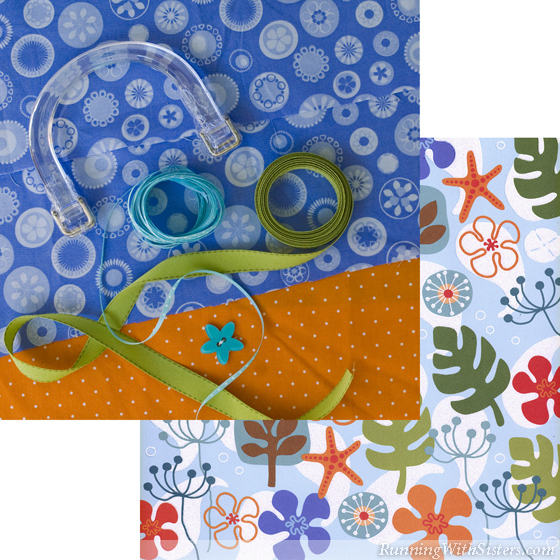 Scrapbooking companies are especially tuned in to color, so we look at their brand new paper designs for fresh color combos to use in all kinds of crafts, not just scrapbooking! We pick out a printed paper we like and use it as a “color board.” We carry the sheet around the store to choose the materials we need to make our project. Perfect palette every time! Find a sheet of scrapbook paper that reminds you of your hubby to take the fear out of selecting yarn for his scarf. Be daring! 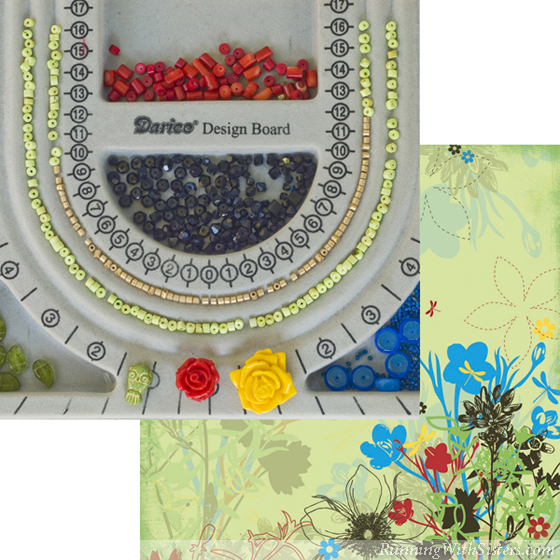 When you use a scrapbook page as a guide you can be confident your bicone beads, rondelles, and pendants will go together beautifully. 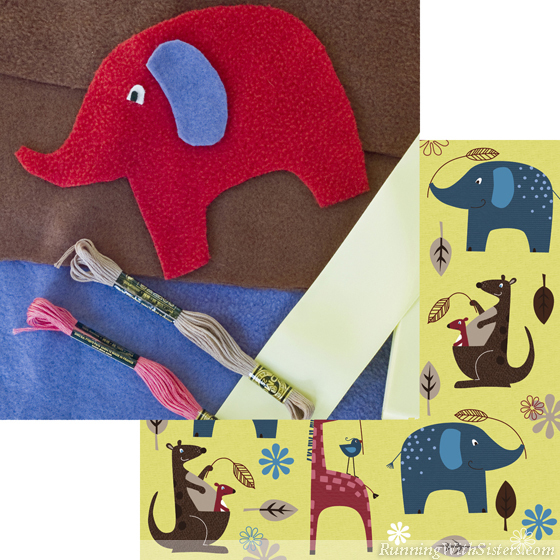 Go beyond sky blue and powder pink by starting with a playful scrapbook paper designed for a little boy or girl. 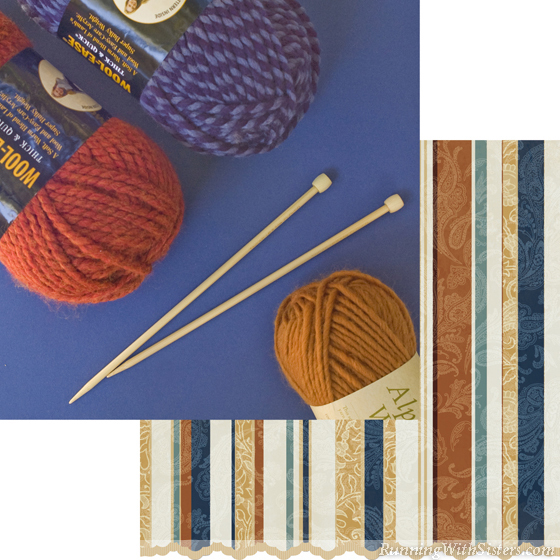 Use it to combine chocolate brown fleece with flamingo pink embroidery floss for a modern baby blanket. 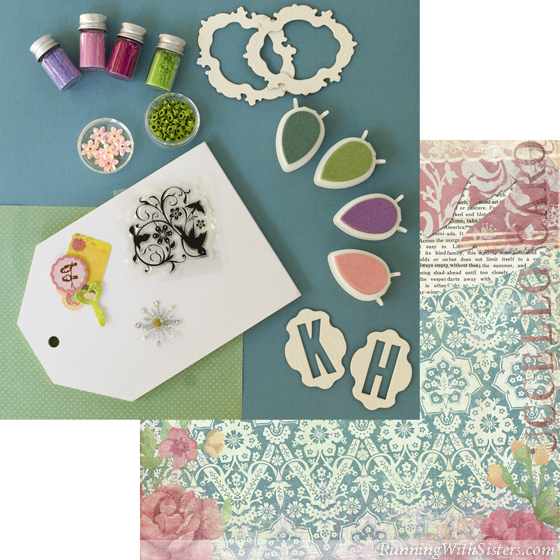 Play it cool when it comes to teen trends by picking out a scrapbook page with colors chosen just for them. Then make a mini purse with fabric, ribbon, and buttons to match. Once you get out there, you will be amazed at how the same colors are everywhere. The newest colors in flocking and stamp ink match the newest colors in scrapbooking papers. Instant color coordination!